On Saint Patrick’s Day, I had a miscarriage and it broke our hearts. While we had a child from my previous marriage, it would have been our first child together. If only then we knew the gift that was in store for us, as just 6 days after my miscarriage, I got pregnant with Chesney. I had issues with my first pregnancy with a short cervix and funneling, so I was automatically scheduled to see a perinatologist with this pregnancy early on. At around 11 weeks, we found out that Chesney was a girl and were told she had a cleft lip and palate. My world started to shatter. Because of my age (36 at the time), we were scheduled for another ultrasound and bloodwork to check for any chromosomal issues. They did a Nuchal Translucency screening, where they measure fluid on the baby’s neck, and look at the forehead and nose. Everything looked normal, besides her size; Chesney was measuring a little small. I received a phone call later that week to say that my bloodwork had come back with a 2 in 5 chance of our baby having Down Syndrome, and that I needed an amniocentesis for more in-depth testing. I was mad, I was hurting, and I wanted to know WHY! Why my child? What had I done wrong in my life to cause my child to have all of these issues? I think all parents getting hit left and right with these diagnoses probably ask the same questions I was. It took about 6 weeks to get the results from the amniocentesis. By then I was 22 weeks pregnant. The geneticist told me that our baby did not have Down Syndrome, but she had a translocation of her 7th and 14th chromosomes. He referred to it as a “balanced location”. He said that my husband and I needed to have blood tests to see if either of us also had a balanced translocation, and did not know it. Best case scenario was that one of us did, and if so, then our baby should be fine. Beyond that, he couldn’t tell us much more. During one of our scans, the doctor started looking at Chesney’s heart. While measuring all 4 chambers, they noticed the valves were not closing all the way. At that point, I was starting to shut myself off from everyone. I did not want to answer any questions or cry in front of anyone. I just pulled away. In addition, our bloodwork came back showing that my husband also had a balanced translocation, so there was a little relief in that. Despite being encouraged to terminate the pregnancy due to the unknowns, we held strong. The next couple of weeks were a whirlwind of appointments from cardiologists, more ultrasounds, a fetal echo, and stress tests. At 32 weeks, the cardiologist told me that Chesney had 4 heart defects instead of just one, and that it was called Tetralogy of Fallot. He told me that he wanted me to change where I was going to give birth in order to best meet our needs at delivery. I was supposed to try to remain calm. It was better for the baby. That went out the window a long time beforehand! 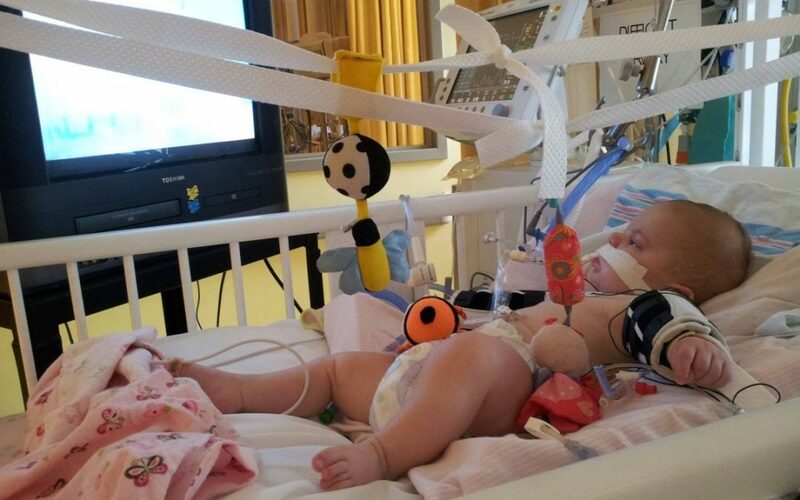 They took her down to the NICU since she was so small, and to check her heart. They ended up putting her on an NG tube, and trying to feed her by mouth with it in. Chesney spent 14 days at that hospital’s NICU. At 14 days old, I had Chesney transferred to the local Children’s Healthcare of Atlanta. Our cleft doctor was there, and I figured if anyone could help, it would be him. The first day we got there, a geneticist came up to see us and told us that the blood tests had come back, and Chesney had Cri Du Chat syndrome (5p-). On top of her 7 and 14 being translocated, but balanced, she had her 8 and 5 chromosomes also translocated, but were not balanced. She was missing the short arm of her 5th chromosome and had extra on the 8th. Cri Du Chat is French for “cry of the cat”, or cat cry syndrome. These kids have a smaller larynx than normal babies do, thus making the cat cry sound. She told us that cognitively, Chesney could be affected anywhere from mild to profound and only time would tell. Physically, she could be affected, as well. Because only 1 in about 50,000 babies are born with it, there are only about seven people in our state that we know of that have it. She gave us some outdated reading material and told us that most babies with her syndrome did not live to be a year old. Chesney’s first year was rough. We spent the first 4 months in Children’s Hospital with a heart Cath, and 5 rounds of Necrotizing Enterocolitis (round 4 almost killed her). She had a G-tube put in, in place of the NG tube for feeding. At 4 months old, after a long 2 month stay, we took Chesney home again. 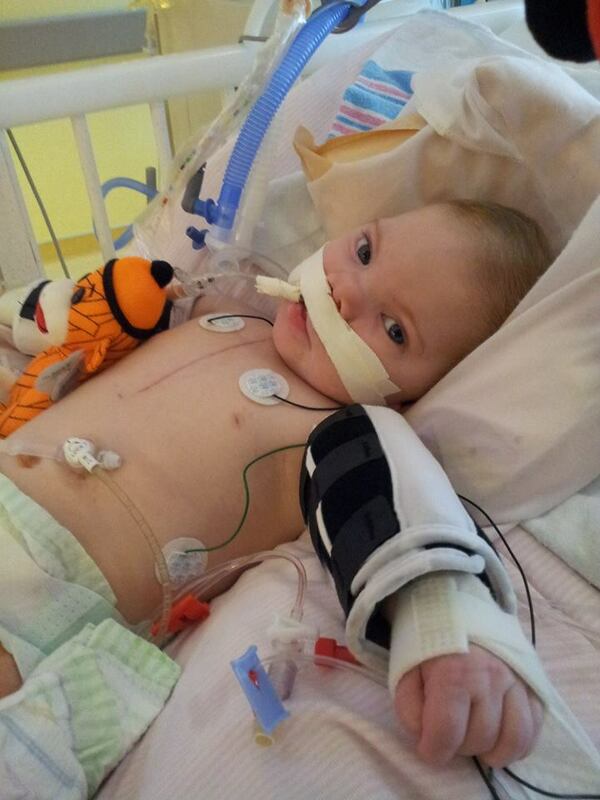 At 9 months, Chesney had open heart surgery to repair her heart, and she handled it like a champ. However, with each surgery and intubation, her airway had been getting smaller and smaller. 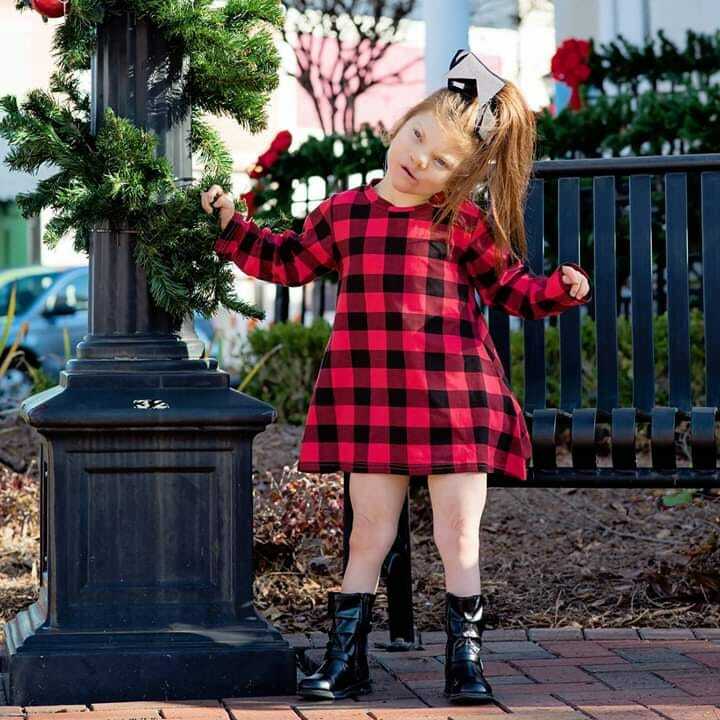 At 10 months old, Chesney went in for her cleft lip and palate repair. The specialist was only going to do the lip, which is normal with cleft kids to begin with, but when it took them about 4 hours to get her lines placed to start surgery, he went ahead and did both surgeries. A mere 36 hours after her surgery, Chesney got angry at the nurse and shut her airway off, coding at 6 in the morning. Thankfully, the anesthesiologist was right there; they were able to do CPR on Chesney for 4 minutes, and then he put her breathing tube back in. Since then, Chesney is proving to be the happiest little girl I know. She is 6 now, and walks holding our hands. A lot of kids with CDC walk at around 4 years old, some never walk at all, but they all do things at a different pace. She is very strong. She thinks everyone is a friend and loves everyone she meets. Sometimes I really want to take her to that doctor that kept encouraging termination. A lot of doctors don’t consider special needs kids to have the quality of life that a normal kid has. My child is as happy, stubborn, smart, and headstrong as they come. In this world, you start to look at the little things that your child does. Those little things are like climbing mountains to them, and they are so special to you. You find this strength along your journey, that you NEVER had before. You learn to fight for your child, their needs, and for what they deserve. They become a different child along the way, and you also become a different person, too. I would have told you before Chesney, that I was in no way fit to be special needs mom. I now run a heart defect support page, take Chesney to five therapies a week, teach others to advocate for their child, and have become a full-time photographer so that I can stay home with her. I have had the honor of photographing Night to Shine, a special needs prom all around the US, put on by Tim Tebow, and coming up, I am going to photograph Miss Amazing, a special needs pageant. That mom that thought she could not handle a special needs child was EXACTLY who this baby needed to fight for her, and to bring awareness to issues in the special needs world. I love this little girl to the moon and back 5 million times, and I would give anything for her. She was exactly what we needed. 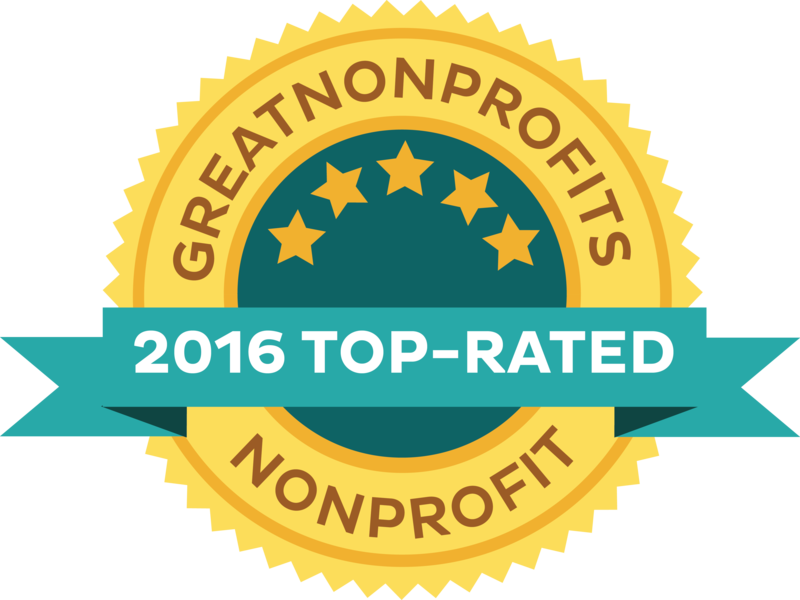 The nonprofit, parent-founded Fetal Health Foundation has resources to help families who are experiencing a fetal syndrome diagnosis. Contact Us for help.